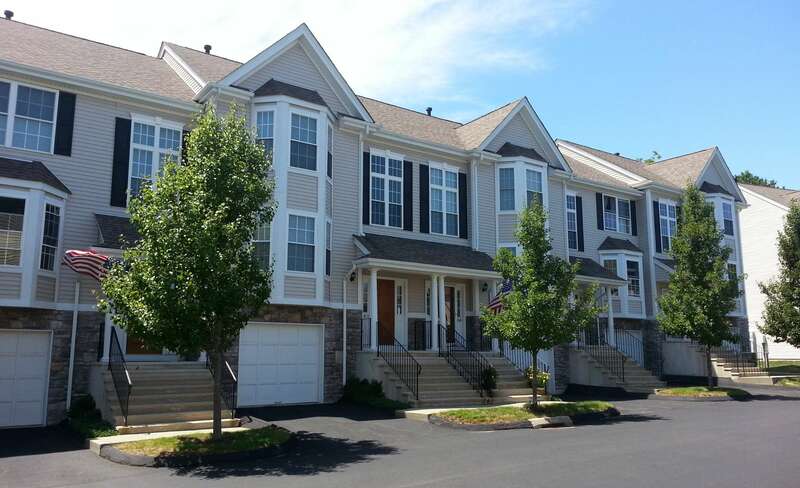 Located on Briar Woods Lane are the newly built Briar Woods Townhomes in Danbury. Built in 2006, these two bedroom, 2.5 bathroom units are around 1,600 square feet. With 80 units, you are guaranteed modern conveniences. Dining rooms, with easy access to the kitchen, has sliders that lead out onto the all-weather deck. The gourmet eat-in kitchen has new stainless steel appliances, granite countertops, a breakfast nook, and pantry as well as bay window that boasts beautiful views. Master bedrooms at Briar Woods are spacious, with vaulted ceilings and large windows to let in the light and fresh air. Central air will keep you cool in the summer and clean gas heat will make sure you stay warm in the winter months. Each townhome at Briar Woods has a 1 car garage underneath the home. The finished walk out basement has garage access. The location of Briar Woods is fabulous. Close to major highways, it is only an hour and a half drive to New York City, perfect for commuters or those looking for a weekend getaway. Closeby are parks and shopping at the Danbury Fair Mall.